Atari SAP Music Archive (ASMA) is a Atari XL-XE music collection. It is one of the largest and most accurate computer music collections known. ASMA archive now uses an online repository, where it is constantly updated. SNDH Atari ST YM2149 Archive v4.7 released. Ever since the birth of the Atari ST, different chip music formats have had different ways to use them. If you are coding a chip music player for the Atari ST you would have to use dozens and dozens of special ways to replay music. But in the mid 90′s, BDC of Aura crew became tired of this inelegant system and decided to fix the issue once and for all. He then created the ‘SNDH’ file format. SNDH is actually the original songfile and replaycode with a header bolted on top of the music and replayer. The header has a unified calling interface no matter what type of chip music is hidden beneath it, and it has extended datas about the music. Fortunately a year ago i have also updated the CPLD code (Xilinx) of the Ultimate 1MB to version v2, needed for this update! SNDH Atari ST YM2149 Archive v4.6 released. SNDH Atari ST YM2149 Archive v4.5 released. SNDH archive v4.5 released - 355 new/updated SNDH files (1731 subtunes). 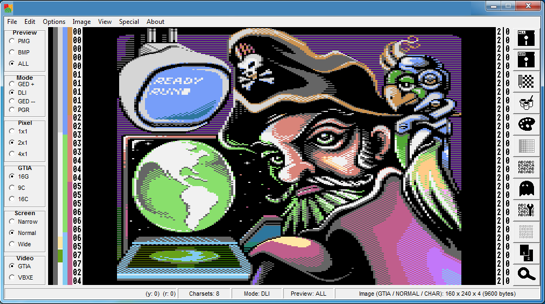 Tomasz “Tebe” Biela has released an update of the program Graph2Font v3.9.9.3 and the Atari Graphics Studio v2.9.9. SNDH Atari ST YM2149 Archive v4.4 released. ASAP is a player of 8-bit Atari music for modern computers and mobile devices. 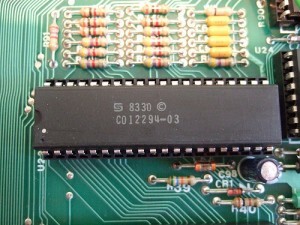 It emulates the POKEY sound chip and the 6502 processor. 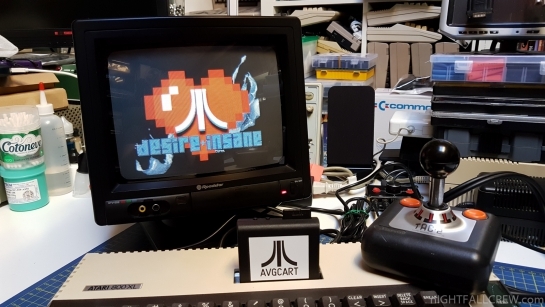 The project was initially based on the routines from the Atari800 emulator, but the current version has a completely new original emulation core. Reduced amplitude by half to avoid clipping on loud tunes. Silence detection regarded GTIA and COVOX sounds as silence. asapconv supports conversion to one WAV/RAW/MP3/XEX file per subsong. File Information window in the foobar2000 plugin. Updated the XBMC plugin for the new XBMC. OS X VLC plugin no longer requires OS X 10.8. Android 4.4 can now read the memory card. Switch to the next song when the current one ends. Playback couldn’t be resumed after a while of pause. Search files using on-screen keyboard. Files with duplicate titles were lost in the details view. SNDH Atari ST YM2149 Archive v4.3 released. Tomasz “Tebe” Biela has released an update of the program Graph2Font v3.9.8.7. 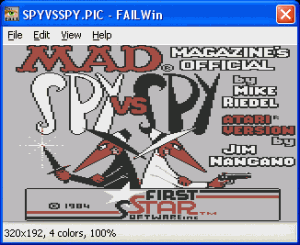 FAIL is a viewer of pictures in native formats of Atari 8-bit, Atari ST, Atari Falcon and Atari Portfolio computers. Fail2png – portable command-line converter to PNG files. FAILWin – viewer for Windows. 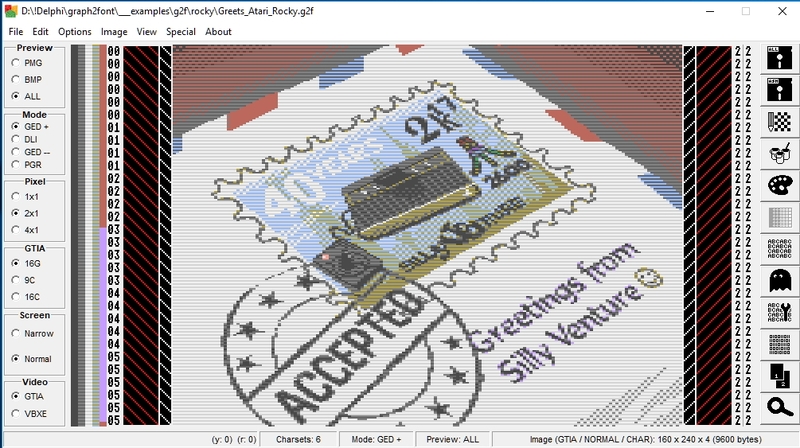 New formats: Interlace Character Editor font (ICE), GEM Bit Image (IMG), Multi Palette Picture (MPP). This is the last release of FAIL. But don’t worry! We are just renaming our project to Retro Computer Image Library (RECOIL), because we are going to support formats from 8-bit and 16-bit machines other than Atari. Stay tuned! SNDH Atari ST YM2149 Archive v4.2 released. Android: fixed playback on Android 4.1+, disconnecting headset pauses playback, updates position and avoids “process not responding” during seek, starts in root directory if there’s no memory card. GStreamer plugin gets autoplugged (read: SAPs play in GStreamer-based players). WASAP plays music to its very end. Fixed crash on malformed RMT files.